MPs will vote later on whether the UK government broke Parliament's rules by failing to publish the legal advice it received about the Brexit deal. Opposition parties say that by limiting information to an overview, ministers ignored a binding Commons vote demanding they release the full advice. It comes ahead of five days of debate on the EU withdrawal agreement, with MPs voting on the PM's deal next week. The debate is scheduled to last eight hours a day, with Theresa May expected to say the UK is on course for a "better future outside the EU" and that her deal "takes back control of our borders, laws and money". 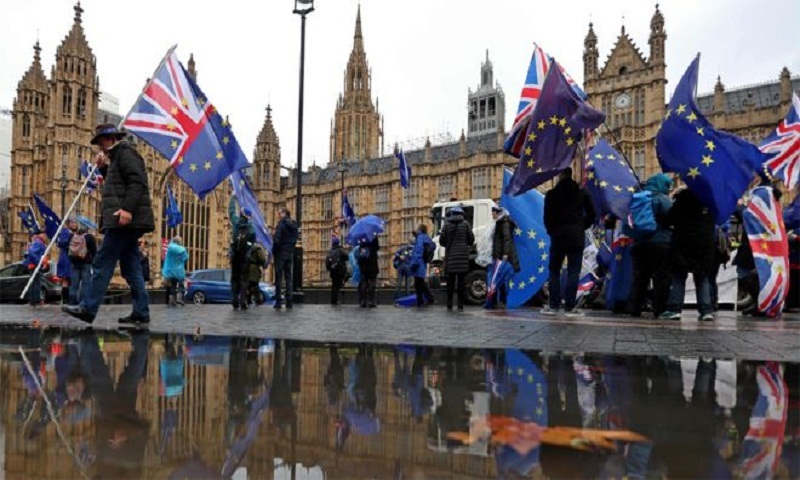 However, the prime minister faces opposition from MPs on all sides - including both the Leave and Remain wings of her own party - who argue that better deals are available, or that the public should have the final say in a referendum. Many believe her deal is flawed because of a "backstop" that could keep the UK tied to EU customs rules in the event no future trade deal can be agreed. Some believe only the full legal advice will shed light on this. Labour's shadow Brexit secretary, Sir Keir Starmer, said: "This is not about party politics. "It's about parliamentary democracy and guaranteeing that MPs have the information they need to know - precisely what the government has negotiated with the European Union." On Monday, Attorney General Geoffrey Cox - the government's chief legal adviser - published an overview of his legal advice on Theresa May's Brexit deal, and answered MPs' questions on it. He said publication in full would break a longstanding convention keeping legal advice to ministers confidential but insisted there was no cover-up, telling MPs: "There is nothing to see here." Mr Cox accepted the backstop - designed to protect Northern Ireland's peace process by preventing the return of customs posts and checkpoints on the Irish border - would leave the UK "indefinitely committed" to EU customs rules if Brexit trade talks broke down. The arrangement, which would apply to the entire UK, is supposed to be temporary. However, neither party could withdraw from it without the other's consent. However, he said signing up to it was a "calculated risk", adding: "I do not believe we will be trapped in it permanently." BBC political correspondent Iain Watson said any defeat over the legal advice would be likely to come as "an unwelcome distraction rather than a disaster" for the PM. She will tell MPs: "The British people want us to get on with a deal that honours the referendum and allows us to come together again as a country, whichever way we voted." Mrs May will say future trade talks with Brussels will also ultimately result in "a new free trade area with no tariffs, fees, quantitative restrictions or rules of origin checks - an unprecedented economic relationship that no other major economy has".